Robotic automation is used to automate routine, rule-based tasks that are repeated in a workflow. Robotic automation’s main value proposition is to alleviate employees from performing mundane, highly repetitive, data-intensive tasks thereby freeing them to perform more productive work. RPA robots are programmed to mimic user actions like sending emails, reading email attachments, accessing legacy applications, processing data between applications, performing data validation, and processing simple rules. These features provide benefits to business processes by reducing human error and driving efficiencies. Pega RPA adds the ability to automate tasks using the existing application’s user interface and can help speed up manual tasks. 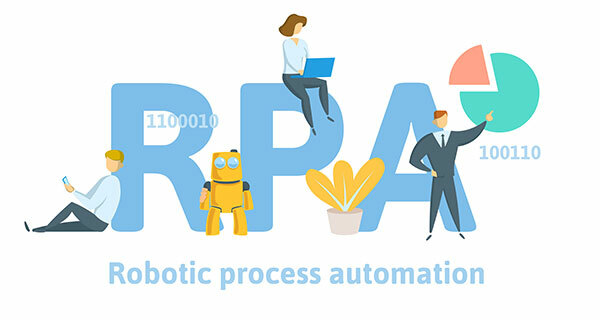 The two broad categories of Pega robotic automation are Robotic Desktop Automation (RDA) and Robotic Process Automation (RPA). Desktop automation is used to provide a unified desktop experience to users by integrating and automating desktop (or web applications) with Pega applications. Desktop or web applications can be launched from flow actions and data can be transferred between the workflow and desktop applications. Desktop automation help reduces redundant work, the time taken to execute a process and also reduce data entry errors that may occur when entering the same data multiple times. Pega Process automation is used to automate high-volume, back-end repetitive work. Organizations can batch process large volumes faster and with fewer errors compared to manual handling. Cost savings for manual and repetitive tasks by reducing the number of FTEs. Pega RPA, organizations can automate tedious manual work that hampers productivity and efficiency. Whether it is about adjudicating claims, on-boarding customers or employees, reconciling financials, or updating customer information in the system, organizations can utilize Pega RPA to optimize processes across the enterprise. In any organizations critical functions are still performed by the legacy systems like manual data migration, extracting data from scanned documents, PDFs, and other formats, Optical Character Recognition, etc., RPA can prove to prevent such manual labor and reduce clerical errors. By automating contact center tasks which can include scanning documents, verifying information RPA can help companies to process faster and offer good customer service. RPA can handle patient records, customer support, claims, reporting, billing and a lot more, thereby providing a better experience to their patients. Foreign exchange payments, managing audit, processing claims, opening, and closing of accounts are some of the use cases in this sector. Pega RPA can help in automating orders, processing, and payments, generating reports for different departments. With PEGA RPA organizations can reap immense benefits including streamlining data management, better decision making and enabling quicker ROI. An effective combination of Pega’s power with RPA’s automation capabilities could be a game changer and will bring quicker ROI when rightly implemented. Pega Robotic Automation enables businesses to intelligently optimize how work gets done, by both humans and robots across the enterprise. This enables organizations to run tasks unattended while mitigating risk and meeting regulatory mandates. Ultimately, these benefits make employees more productive while freeing them to focus on delivering better customer experiences.